When top racers from around the nation come to your hometown to race bikes, it only makes sense to put together a powerhouse team of the best local riders to defend their city streets and showcase their talent. 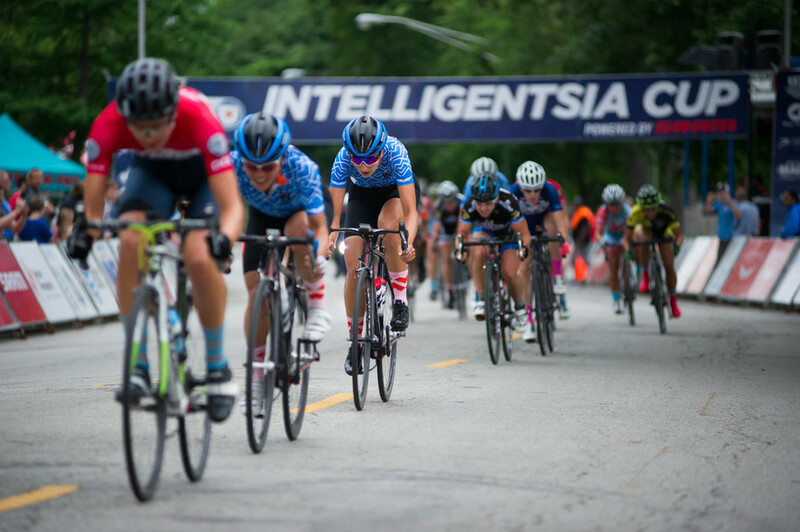 Chicago Women's Elite Cycling did just that for the 2016 Intelligentsia Cup p/b SRAM. 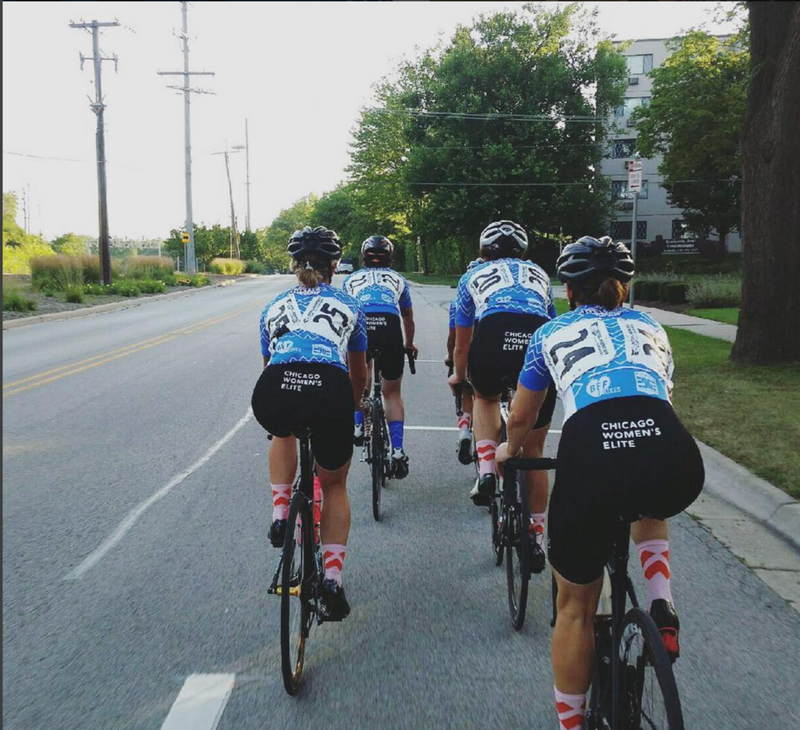 Our composite team was made up of local Category 1/2 riders, some who had never raced together, and some who just recently joined the elite level. This would be a learning experience for all, and we couldn't have asked for a better series to make it all happen. My biggest take away from racing with CWEC is that races at this scale are extremely fun and challenging but having teammates, team goals, and support is really really important. Working as a team, sharing struggles and successes, and listening to teammates' experiences and tips made racing much more valuable and rewarding than it would have been otherwise. Just having people there to be with makes a big difference. Feeling like a little fish in a big pond is not a ton of fun and being part of CWEC took that feeling away. When you are in the business of massage therapy and and alternative medicine, you come to realize that everything is a slow practice with a learning curve. When you are in the business of going to grad school as a grown adult, you are humbled daily by the breadth of information you have to learn and the time constraints placed on yourself become crushing from time to time. When you are in the business of bike racing as a hobby, all of these things are mirrored. There are new things to learn at each level, and with each leap, one is confronted with new and different and more nuances practices at higher and higher speeds. 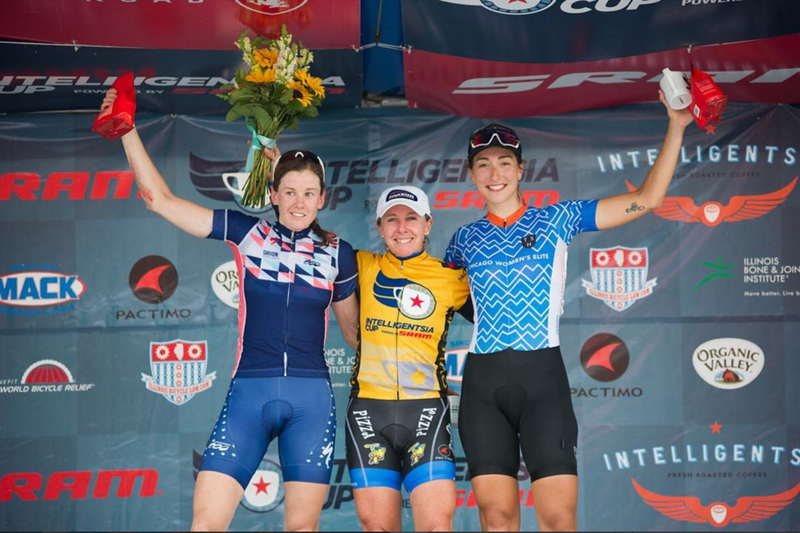 For me, the Intelligentsia Cup was a first real look at what the top level pro crit races are like. I tend to jump into things with two feet, and then freak out after I have agreed to do them. This was no exception. My first race of the series was Saturday at Glen Ellyn. When we arrived, Cathy was already there with a very pro set up-a tent, matching chairs, ice water, pre race snacks and hydration, the works. She promptly put her gold PSIMET wheels on my bike. We pre-rode the course and had a team meeting. There was already a serious amount of fire-power in the legs of the women lining up for the first weekend of racing, but the field was a manageable size for a first taste. We were each given jobs in the race, and things to watch for, which helps me immensely-it is easier to be in pain for the glory of the team. This race was really fun, and very challenging. The course was covered in tricky corners and narrowing chutes like a very skinny F1 loop. It took a few laps for me to feel comfortable in the group, but I was eventually able to take some fast laps at the front of the field, which felt good. I have been enamored with the winning nature of Laura Van Gilder since I started racing, and to know she was just two riders back on my wheel was great. I felt pretty good about this race, I was (mostly) able to do my jobs and work as part of the CWEC team during the hour long event. It was incredibly encouraging to see my teammates throughout the race, and to know I was in there with them for support of the greater good-to keep Daphne on the omnium podium, success. 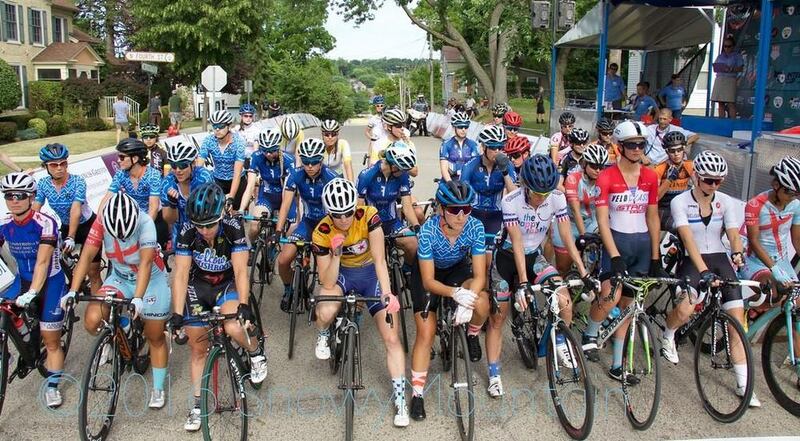 Fast forward a week, and turn the heat up 10 degrees to the weekend of Lake Bluff and Goose Island Grand Prix. 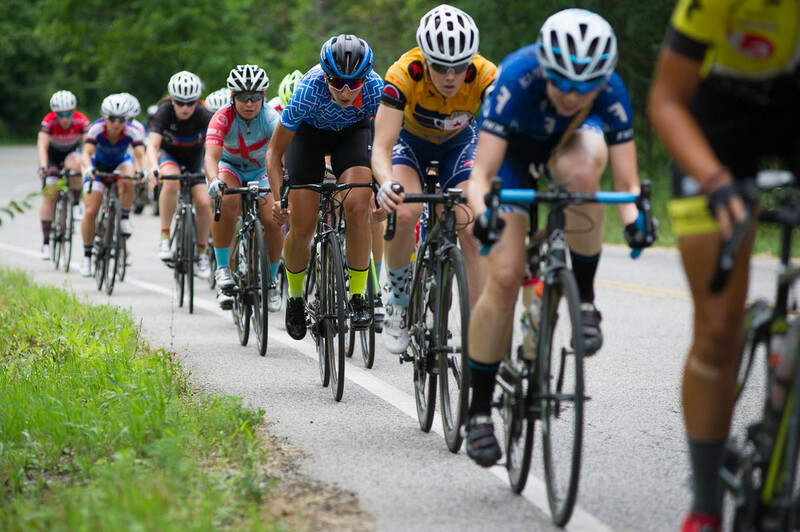 These two races were part of the Pro Road Tour, and the pro women’s field doubled in size. Saturday: The start of the Lake Bluff race was blisteringly fast, and I spent the first 20 minutes chasing with a little group. It looked like we were gaining ground on the shattered field when the lightening started and the race was cancelled. I vowed to have a better start on Sunday, secretly glad my placing would not be listed for posterity. I got some pro tips from Nicole Mertz as we huddled under the tent in the pouring rain. 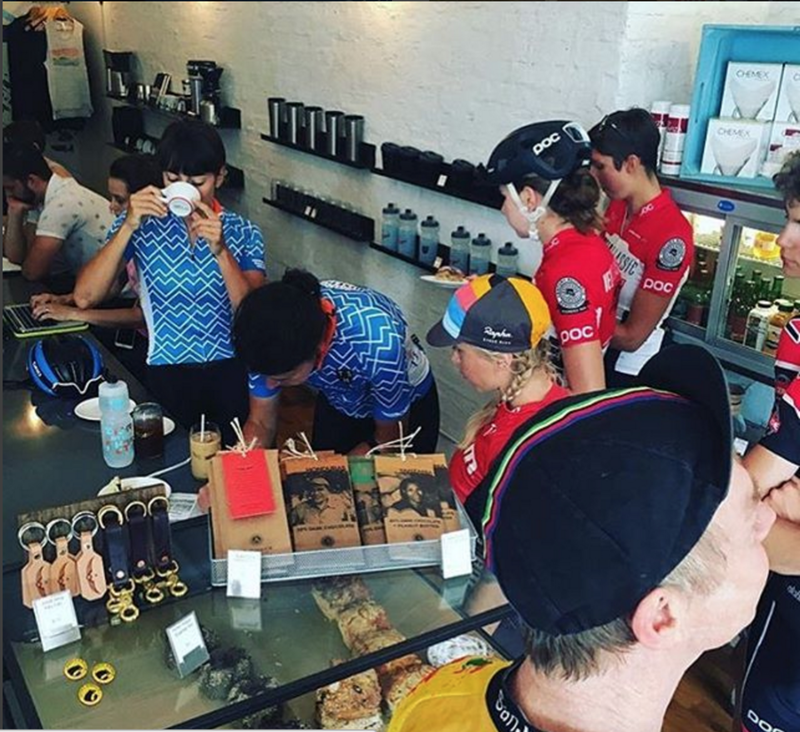 Sunday: The Crit Squad rode down to the Fulton ave race together and it was so hot. I was determined to have a better start, and lined up 20 minutes early. It worked. I was in the second row. The whistle blew, and the primes started flying. I felt strong enough to be in the race, but not quite skilled enough to be shoulder to shoulder in the pack, so I found myself just at the back edge, which is a terrible place to race any day, but especially during a race with a prime seemingly every lap. I was getting hotter and hotter every time around, until about 40 minutes in, my head started to tingle and my vision started to get weird, so I slowed down and pulled out to be taken care of by Kevin and Cathy who are the best race staff I could have asked for. I would have liked to make it through the race for the duration, but it was also great to watch Daphne, Annie, and Jrho mixing it up in the field, and look comfortable and at home there. There is certainly a learning curve to this type of racing, and I want to get it! Riding 26 miles an hour is one thing, but cornering two inches away from someone else riding 26 miles an hour is another thing entirely, and the confidence to do that is what I need to work on. I am thankful for the opportunity to try these races with such a supportive crew of ladies (and Kevin). It truly made the experience a positive one despite not exactly meeting my goals; I am excited about beginning this new practice, and I’m looking forward to more racing with the CWEC. Special thanks to Kevin Pietka and Cathy Frampton for their race-day support. SnowyMountain Photography and TSH for making us look good. PSIMET wheels for keeping us rolling fast. Edge Athlete Lounge for the loudest cheers ever heard. JustIce for keeping us cool in the extreme heat. And the support of the Chicago cycling community—your donations, kind words, and encouragement make it all possible.